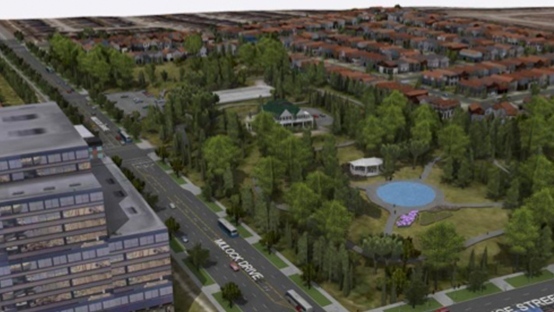 The Town of Newmarket plans to create a Central Park inspired green space. The town announced Wednesday it has entered into an agreement to purchase 11.6 acres of land at the corner of Mulock Drive and Yonge Street which is known as the Mulock Farm/Estate. The cost of the property is $24 million and will be financed through debt financing. The town said the cost could equate to a one-time $50 per household tax increase or $10 per year, phased-in over five years. The town’s vision is to create an iconic community park/outdoor green space with inspiration from Central Park in New York and outdoor skating trails such as Gage Park in Brampton or the Arrowhead Ice Trail in Huntsville. The town’s vision includes walking trails and a one kilometre skating trail throughout the site that could be programmed with lights, fire pits and market vendors, plus an outdoor skating rink. Residents will have an opportunity to see the plans at a community open house on Feb. 27 from 4 p.m. to 8 p.m.
Council will be considering a staff report for supplementary budget options to finance the purchase of the Mulock property at its February 26 committee of the whole meeting, with final approval at the council meeting on March 5.